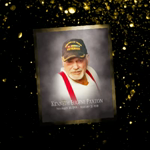 Kenneth Eugene Paxton, 70, of Windsor, MO, passed away Thursday, January 31, 2019 at Saint Luke’s East Hospital in Lee’s Summit, MO. He was born on November 30, 1948 in Sedalia, MO the son of Jesse Paxton Jr. and Helen (Sisemore) Paxton, who preceded him in death. On June 6, 2008 in Sedalia, MO. He was united in marriage to Jessica Hammer Paxton, who resides of the home. Kenneth was a Sergeant for the Missouri Department of Corrections for 17 years, retiring in 2006. He loved hunting and fishing. Kenneth enjoyed shooting guns and bows. He held several state records in archery. Kenneth served his country honorably in the United States Army during the Vietnam War. He received an honorable discharge in 1969. In addition to his wife he is survived by a son Jeff Paxton of Sedalia; two daughters, Carrie Weathers of Sedalia and Tori Paxton of Windsor; two step children, Tristan Johnson and Olivia Shipman of Windsor; a sister, Janice Burnett (Gary) of Sedalia; a brother, Jesse Paxton (Frances) of Independence, MO; three grandchildren, Zachary, Zoey, and Bryce; a great granddaughter, Lilianna; and several nieces and nephews. In addition to his parents he was preceded in death by a brother, Leo Paxton; and a nephew, Timothy Paxton. A celebration of life gathering of family and friends will be held from 5:30 p.m. until 6:30 p.m. Tuesday, February 5, 2019 at Katy Park Baptist Church. Jessie, my condolences for your loss prayer to you and your family he will missed greatly we grew up together. I worked with “Little Packie” for many years at DOC. He was always a great person to be around. Fly high my friend. Jessie, our condolences to you and family. Our Prayers that you find peace in your memories. God Bless you all.